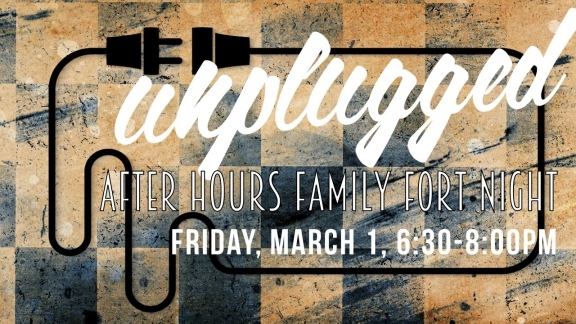 Leave your phones at home and come join the library in celebrating the National Day of Unplugging! The library will be closed, so we'll have the whole place to ourselves! Build a fort, play BINGO, participate in a giant game of hide-and seek, or listen to a story as we unplug with friends and family. Plus, make your own S'mores. All ages. Kids age 10 and under must be accompanied by an adult. Please bring along light sheets, blankets and pillows for your fort. RSVPs required.